Free your mind of any of life stresses with Moyvalley Spa and Think Backup! for your business data. Think Backup! are delighted to be able to provide seure online data backup for Moyvalley Golf Resort, Hotel & Spa, and also for sister course New Forest. Losing customer information and finanicial records would be an absolute catastrophe for Moyvalley. The experienced team of professional managing this fantastic resort don't take chances! That is why they place high importance upon information security. The luxury Moyvalley Hotel & Golf resort is set amidst 550 acres of historic Kildare countryside and has rapidly become one of Ireland's top locations for your dream destination weddings,luxury short breaks, golfing breaks and self-catering holidays. Whether its a romantic getaway at the contemporary Moyvalley Hotel, or something more intimate, like our luxury Self-Catering Cottages and Apartments or the simply stunning beauty of the Balyna House, The Moyvalley Hotel & Golf Resort will fulfil and exceed your wildest expectations. 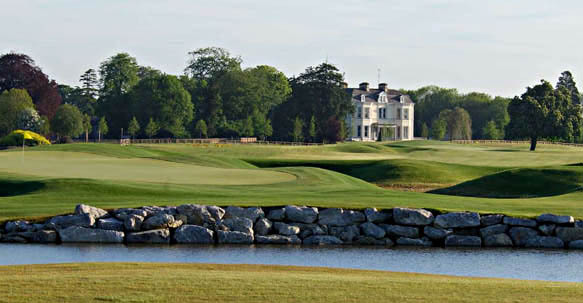 Moyvalley is also an active and well respected golf club, the Darren Clarke designed, Champion Club golf course will provide and exciting and entertaining challenge to golfers of all abilities and will play host to this years ’Challenge of Ireland’ tournament, an important date on the European Challenge Tour.